The Solowheel Xtreme is their most advanced model yet; with 1800w of power, the Xtreme can do up to 22 kph as well as a variety of tricks. The Solowheel motor is made from the world's leading N45 magnet and 270 stator material. Its operating power is increased by 50% in comparison to the previous generation, achieving a maximum output of 1800W. In addition to being powerful, the motor is designed to be quiet and energy-efficient. 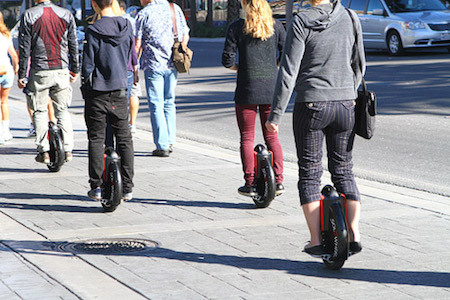 Solowheel uses the highest-quality batteries available. The intelligent battery management system independently controls the working status of every battery cell and ensures safe, stable and efficient performance. "You will assign an attack group to recapture subsection control officers, but no office is to be attacked until its subsection has been cross-connected with Stockton. Arrange liaison accordingly." Via NextBigFuture and Solowheel Xtreme.